ARRIS X110 110MM fpv racing quad is "X" symmetrical design, all-round protection design miceo brushless quad, it is suitable for 3S and 4S lipo battery for indoor or outdoor flying.It is fully assembled and tested, the receiver is optional. The main feature of this drone is light, powerful, durable and super strong. The Omnibus F4 flight controller comes with MPU-6000 gyro, STM32F405 MCU, built-in IC filter, OSD, Barometer, 5V/2V output. The 20A esc support Dshot 600 protocal. Runcam micro swift mini camera is the smallest and lightest CCD fpv camera in the world.With the ultra 5.6g light weight, it is perfect for the ARRIS X110 drone. The mini 48CH switchable video tx is light weight and long in range. The power is switchable among 0mW/25mW/100mW/200mW. 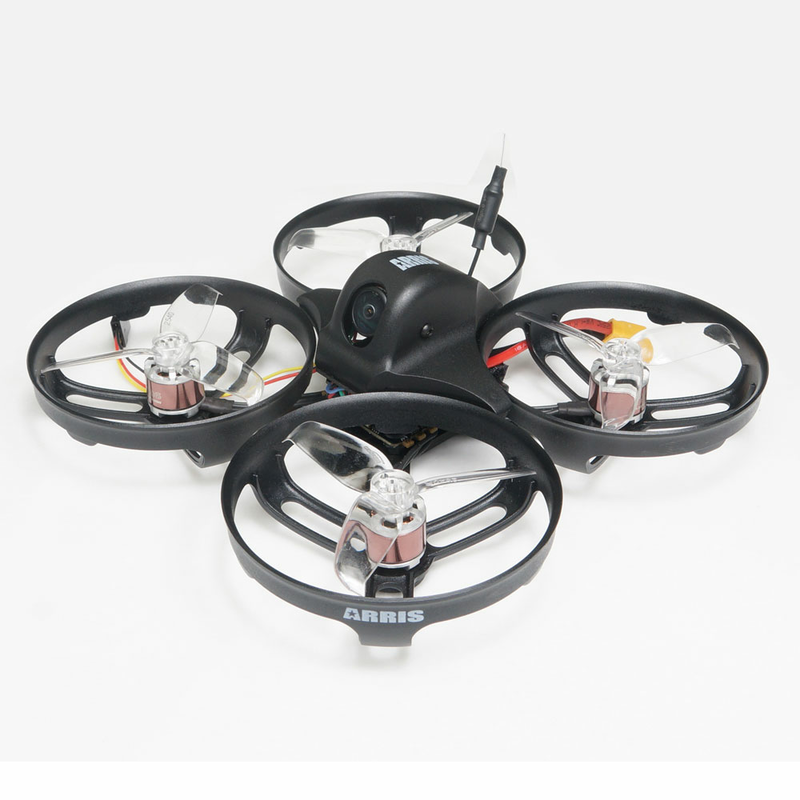 ARRIS X1106 4000KV brushless motor is the latest motor specially designed for mini fpv racers. It is high efficiency and long working life. 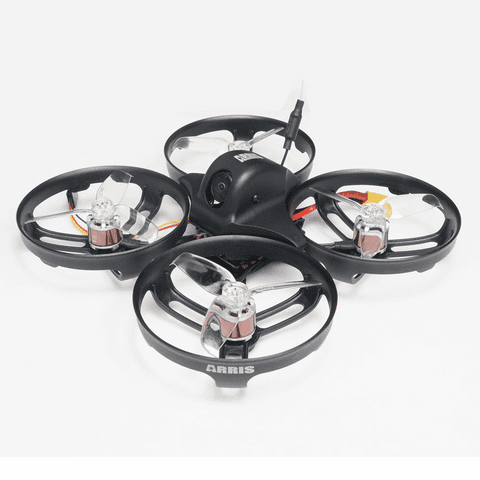 ARRIS X110 FPV Racing drone comes with the Gemfan 2540 2.5" high efficiency and super strong 3-blade propeller. With the propeller guard, it is not easily broken.